Since 1964, Garner Sanitation Services Inc. has been providing anyone within a 40-mile radius of Sandusky, OH with quality sanitation devices, from free-standing sinks to handicapped-accessible portable toilets. Call us today to learn what we can do for your sanitation needs. Whether you’re going through a residential renovation, opening a commercial space or hosting a special event, quality sanitation devices are a must. 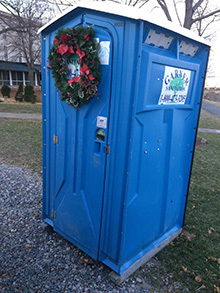 At Garner Sanitation Services Inc., we know that everyone has a horror story of a Porta Potty that won’t close or a portable sink that stops working, and we know that those unfortunate malfunctions can often overshadow whatever event the sanitation services are being used for. Don’t let shoddy portable toilets or broken sinks ruin your experience. 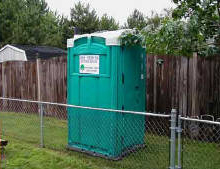 Trust Garner Sanitation Services Inc., your source for Porta Potty rental in Sandusky, OH and more. No event or site is too big or too small for us to provide our services, and we’ll always deliver high-quality, reliable products to your event. We have 50 years of experience in the industry. We can provide a wide range of quality sanitation products. We are a proud local business and hold an A+ rating from the BBB. All of our handicapped-accessible units are ADA compliant.
" Always clean restrooms, friendly workers, reasonable prices, and easy to work with! I have used Garner multiple times for family reunions, ..."